These days, our lives revolve around our phones. According to a study conducted by www.hackernon.com, which gathered research from industry leaders such as comScore, Nielsen, eMarketer, Pew Research Center and other companies found that American aunts spend around 2 hours and 50 minutes on their smartphones each day. At first glance, this number seemed too big to be true- at least according to my daily routine. However, after reconsidering the number of reasons I use my phone, from reading text messages to checking mail, updating my Facebook status, scrolling through Instagram and Twitter, things started to come into perspective. I realized I had overlooked the added utility and enjoyment my phone brings to my day. Information sharing is essential to thrive in this modern age and mobile devices are essential for information sharing. Unfortunately, our phones need rest too; we often outlast them. Low battery life can be a hindrance to our daily routine and an obstruction to our connection with the rest of the world. Your phone’s screen brightness setting is the number one factor in draining its battery. Dialing down the brightness setting to the minimum required for you to properly use your phone will greatly extend its battery life. This goes hand in hand with turning off your phone’s automatic brightness setting- most phones tend to apply a higher brightness level than is needed, further cutting your phone’s battery life. Very seldom will you need to use all these functions at once. For instance, when going for a drive you may need Bluetooth to connect your iTunes library to your car’s media system. However, it is probably not a good idea to surf the web while on the road; you can turn off Wi-Fi. In the same way, you would need Wi-Fi to access the web while in the office or in the cafeteria. However, you’re probably not going anywhere far and wouldn’t need GPS. 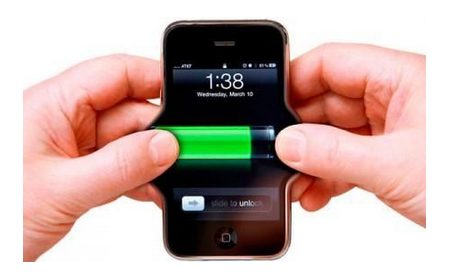 Another easy way to save your cell phone battery life is to update your software or apps. Most app updates include improvements in battery efficiency- you would find this in the terms of the update. Downloading the latest version of each app is an easy way to save battery, reduce bugs, and keep track of the apps you frequently use or don’t use at all. This leads us to our next point. How many apps have you downloaded just because they looked cool in the app store but haven’t been used for weeks? Apps use notification and location services as well as background refreshment functions, which further drain your phone’s battery life. Lastly, it is important to stay cool. Heat radiation causes your cell phone’s battery to spend energy faster. This can be a big or small issue depending on where you live and work but in general, it is a good idea to keep your phone out of direct sunlight or away from your computer’s processor. These are practical, easy solutions to increase cell phone battery life and keep you in-touch with the rest of the world. *CONTENT UPDATE: Consumers now spend more time on their mobile devices. According to Bloomberg Business at the end of 2014, consumers spent on average close to 3 hours on their mobile devices.